Former First Minister Alex Salmond has been arrested and charged by police. The Scottish Government acted unlawfully regarding sexual harassment complaints against former first minister Alex Salmond, Scotland’s highest civil court has ruled. Former First Minister Alex Salmond has formally begun his legal action against the Scottish Government over its handling of sexual harassment allegations made against him. First Minister Nicola Sturgeon said she had been aware for "some time" of the investigation into Alex Salmond and that she has had no role in the process. Former first minister Alex Salmond has denied claims of sexual assault made against him and has launched legal action against the Scottish Government. 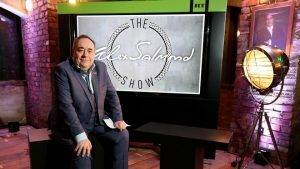 Alex Salmond’s television presenting debut attracted just 16,000 UK viewers. Former First Minister Alex Salmond was set to lift the lid on his fall-out with Donald Trump as his popular Edinburgh Fringe show hits the North-east today. 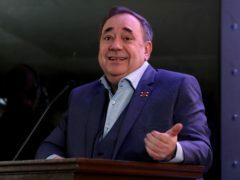 Former First Minister Alex Salmond is set to bring his sold-out Edinburgh Fringe show back for an extended tour – with the first date scheduled for the North-east. Former First Minister Alex Salmond is to take to the stage at the Edinburgh Fringe with a light-hearted show in which he promises to lift the lid on his career in politics. Former First Minister Alex Salmond was today described as "the giant of modern Scottish politics" by Nicola Sturgeon. Former first minister Alex Salmond has lost his seat to the Conservatives. The constituency of Gordon was a closely-watched battle in 2015 and it is set to fall under the spotlight again as the former First Minister fights for re-election. Former First Minister Alex Salmond has been campaigning through the pain barrier - after injuring himself playing football. A bride and groom got the shock of a lifetime when former First Minister Alex Salmond appeared at their wedding.